Although an ocean away, Admiral Cuthbert Collingwood has had a profound impact on the small, bustling settlement that proudly bears the name Collingwood in Ontario, Canada. Present-day Collingwood was originally named Hen and Chickens Harbour, a title inspired by an arrangement of harbour islands resembling a mother hen and chicks. In 1834, a township to the west of Hen and Chickens was officially renamed Collingwood Township. As the naming of this township predates the naming of the Town of Collingwood by almost twenty years, many believe the name was simply borrowed. 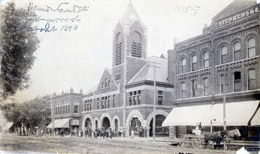 Another possible account declares that the Town of Collingwood was christened by a group of railway officials who were charting a rail line to connect Collingwood’s small harbour with the City of Toronto in 1853. Regardless of origin, the pride that Collingwood’s citizens hold for our namesake remains strikingly clear given the number of buildings that boast the Admiral’s name. These include local eateries, schools and lavish residential developments. 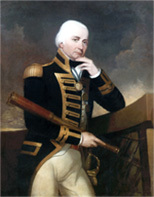 Additionally, a Collingwood resident commissioned a large oil painting of Admiral Collingwood by a local artist to decorate the council chambers in Town Hall. This impressive painting was officially unveiled in the presence of two of Admiral Collingwood’s descendents and continues to oversee all town council proceedings. 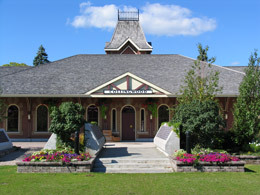 In recognition of Trafalgar 2005, the Town of Collingwood installed an exhibit of facts, photos and folklore in Town Hall for public viewing. The exhibit was then transferred to The Collingwood Museum where it remained for three years. Similarly, a memorial exhibit will be installed in The Collingwood Museum to honour the Admiral’s bi-centennial. 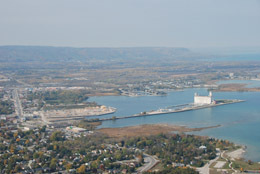 Over the past decades the Town of Collingwood has experienced numerous changes when considering its humble establishment as an industrial centre. The arrival of the railway in 1855 created unparalleled opportunities for local industries, the largest of which was shipbuilding. For approximately 103 years, Collingwood’s harbour was a hive of shipbuilding activity. The closure of the shipyard in 1986 had a drastic effect on the community and in many ways the community is still recovering. Collingwood now relies on its idyllic location on Georgian Bay and its close proximity to Blue Mountain, one of Ontario’s largest ski resorts, as a tourist destination. Collingwood’s permanent population currently rests at 17,500; however, it is not uncommon to find second or third homeowners who travel to Collingwood for weekend escapes. In times of change, the name “Collingwood” has effectively united the stories of our town’s past with its present realities. This said, the inherent link between Collingwood’s role as an important shipping port and Admiral Collingwood’s seafaring history will continue to highlight the Town of Collingwood’s formative years in periods of transformation. 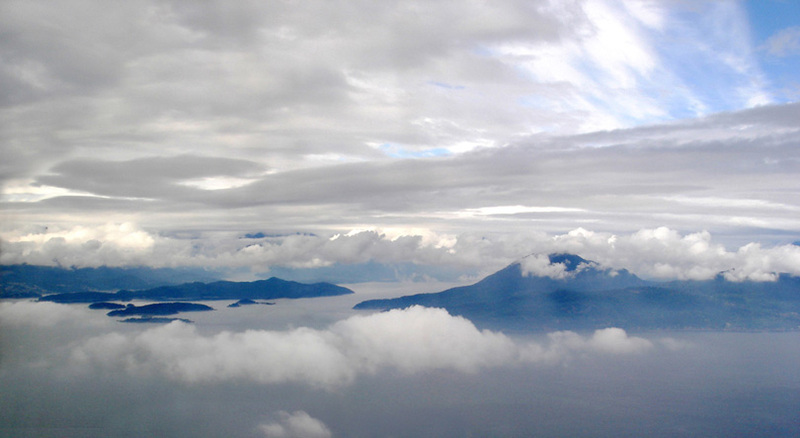 A good friend of the Festival website, known to us as “ShipRat”, has kindly sent this wonderfully atmospheric photograph of Collingwood Channel in British Columbia, north-west Canada. Even better, a legend has been provided and further historical information is promised on the names of surrounding features.